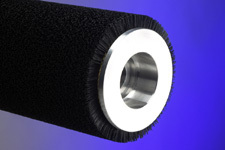 Multiwall Bag, Film and Flexible Packaging manufacturers are rapidly replacing Steel Anvil Rolls with Industrial Brush Company Back Up Brushes. This latest innovation has changed the entire concept of Hot and Cold Pin Perforating, Razor Slitting and Web Tensioning of plastic and paper webs. Anvil rolls are costly and require perfect alignment with perforating knives or pins. Using a Back-up Brush greatly reduces Set-Up time. 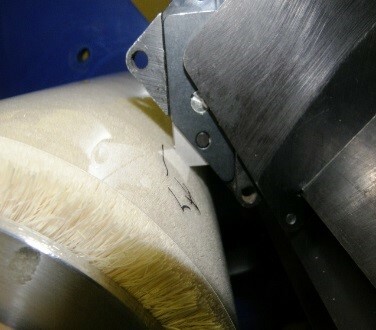 Fitting or adjusting metal rollers to match pin and knife points is eliminated. Our "Fineset" Cylinder Brushes are extremely uniform presenting individual strands of bristle, rather than clumps or tufts. Our Brush density is controlled during manufacturing, which allows unlimited bristle patterns from "Open" to "Super Dense". Our engineering department has established density and bristle stiffness standards for many applications. 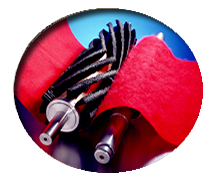 Our back-up brush rolls are now used under Craft Paper, Paperboard, Corrugated Paper, Standard Film, Coated Film, Metalized Film, and Printed and Unprinted Flexible Packaging. 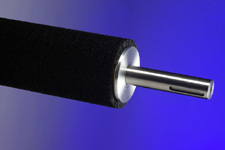 Brush Back-up rolls accept perforating pins or knives wherever they happen to penetrate the product. The pins or knives do not injure the bristles which gently move away from and recover during each revolution making them self-healing. 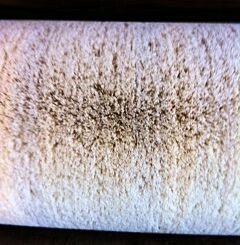 Misalignment is absolutely impossible with free-wheeling back-up brush rolls. Brushes also provide a more intimate contact with pins or knives. They support the web equally as well as Anvil rolls. Installation is simple with no special tools required. Provide us with your anvil or rubber roll sizes (Diameter, Width, End Bearings). 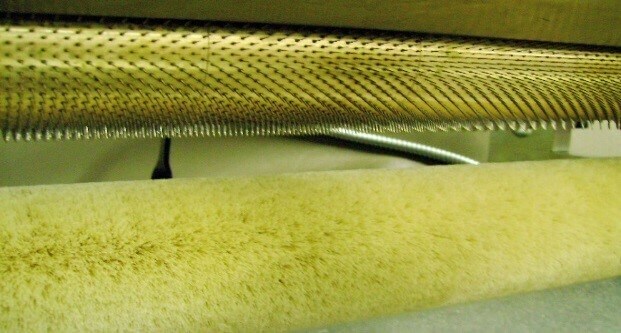 We will provide you with a price on a drop in replacement brush.